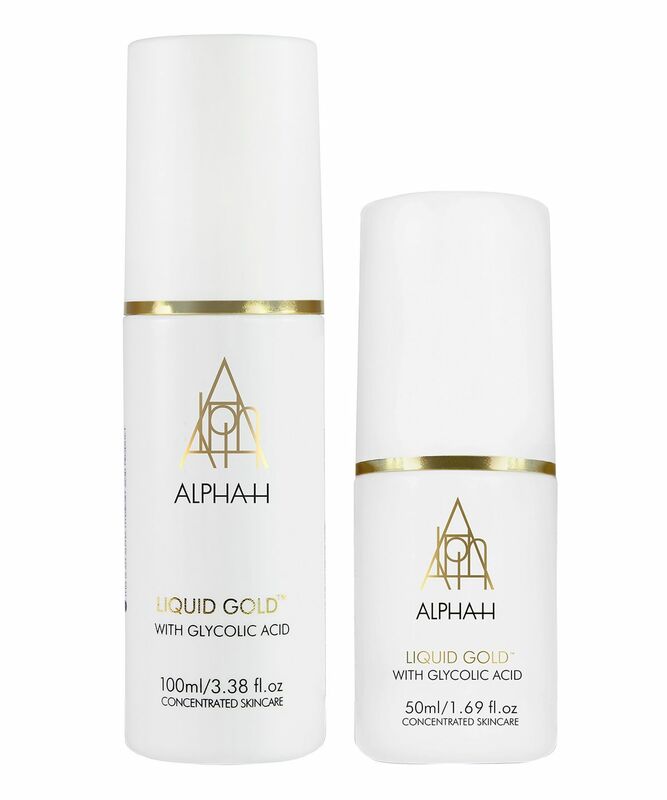 Never be without the revitalising and brightening goodness of Alpha H’s best-selling and multiple award-winning Liquid Gold with this seriously sought-after set, which unites 100ml and 50ml bottles. 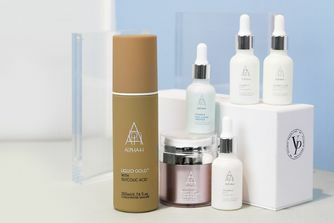 A powerful 'overnight facial', the pioneering formula (it was originally developed in 2000, and was the very first of its kind) is a phenomenal, leave on, 'sleep in' liquid peel, which swiftly (and dramatically) revitalises dulled, ageing skin that's lost its lustre, gradually lessening the visibility of fine lines, wrinkles, enlarged pores, blackheads, blemishes, pigmentation, scarring and redness. In fact, there's virtually nothing this skin care miracle can't accomplish! 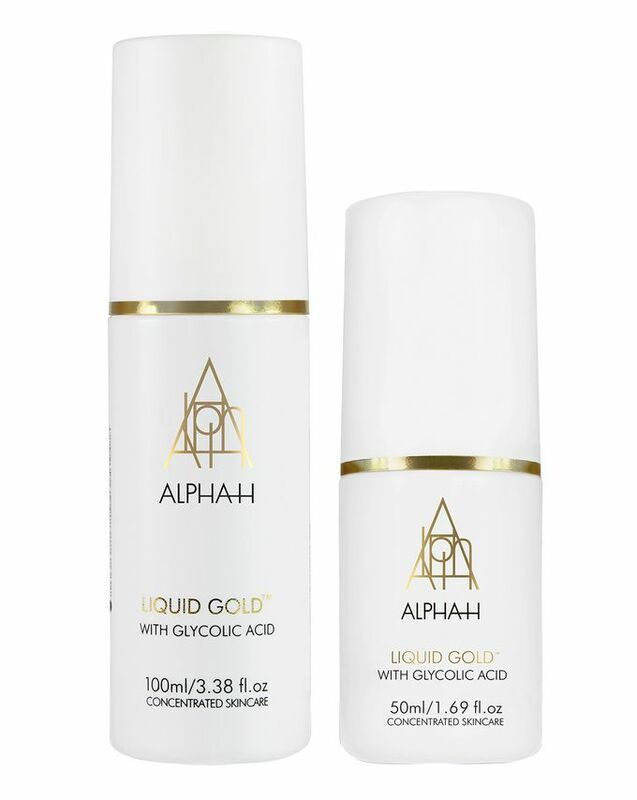 With a money saving on the original 100ml size and a bonus 50ml size, Alpha-H Liquid Gold 100ml & 50ml means you’ll never have to be without this iconic overnight facial. Starring 5% nature-derived glycolic acid (it comes from sugar cane), this overnight treatment harnesses the cell-stimulating and exfoliating properties of alpha hydroxy acids, which melt the 'glue' that binds dulling dead cells to skin's surface, revealing the healthy 'new' skin cells beneath. What's more, by lowering skin's pH (from 5.5 to around 3), this stimulates cellular activity - accelerating repair and renewal processes, as skin works hard to re-establish equilibrium. It bolsters synthesis of elastin and collagen (the 'scaffolding' that keeps skin firm), while penetrating deep within pores to eradicate spot-causing bacteria - while the resurfacing action also helps to diminish visibility of acne scars, dark spots and brown patches, so your complexion quickly looks more even-toned and luminous. A must-have for anyone concerned with skin ageing, sun damage or problem skin conditions - just build up skin's tolerance gradually (to minimise redness). Apply with a dampened cotton pad, once a week for 2-3 weeks while skin acclimatises - then build up to 3 'neat' applications a week, for maximum anti-ageing and skin-brightening benefit. Actually, it's my first glycolic acid treatment ever, so I can't compare it to anything, BUT this product is amazing, from the first use, you will notice the visible improvement of skin texture and reduced fine lines on your forehead and around the mouth. Definitely, a must try for ladies from their thirties. Bought this product as I had seen a lot of good reviews. I have it used it every second day for over 1 month and can say I have definitely seen massive improvements to my skin. The liquid gold has stopped any breakouts and the breakouts I did have at the start of using this product disappeared after my first use. Definitely works and I do recommend. Fully recommended the product is the best on the market. I love it.